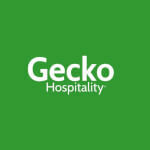 Restaurant Manager - Great Hours!! Do you want to join the fastest expanding company in the United States as a Restaurant Manager and increase the success of one of our booming markets? We are seeking an experienced, personable and energetic Fast Casual Restaurant Manager to provide support to our daily operation in Paramus, NJ. Look no further and come join one of America’s fastest growing concepts with over 1,400 restaurants in the United States and Canada and regarded as the leader in the Fast Casual Segment of the restaurant industry. This Fast Casual Company has consistently averaged 20% Annual Growth over the last 10 years and continues to expand throughout the nation. Can You Say Advancement Opportunity? We are very proud of the plethora of awards that acknowledge our great food and customers’ satisfaction. Most recently JD Power and Associates named this Fast Casual Concept #1 in customer satisfaction, environment. meal, service and value. If you are searching for a career as a Restaurant Manager in a warm, friendly environment with limitless growth possibilities, Apply Today for our location in Paramus, NJ! Apply Now-Restaurant Manager located in Paramus, NJ!